Among the most renowned people to speak of this Moon conspiracy is Milton Cooper, a Naval Intelligence Officer who disclosed that the US Navy Intelligence Community knows of the alien base. The term used to describe it is “Luna," and according to Cooper, its main objective is to mine the underground for certain materials. He also speaks of a massive mother ship found in the vicinity of the moon used by the aliens to store up materials, and also travel to Earth in small “flying saucers" found on the main ship. “LUNA: The alien base on the far side of the Moon. It was seen and filmed by the Apollo astronauts. A base, a mining operation using very large machines, and the very large alien craft describing in sightings reports as mother ships exist there," Milton Cooper revealed. Can you guys do an article on the 32 year old man who was just born yesterday? True story. All supposition. What they’re looking at is simply part structures lost in “the big bang” from planets long before our existence. 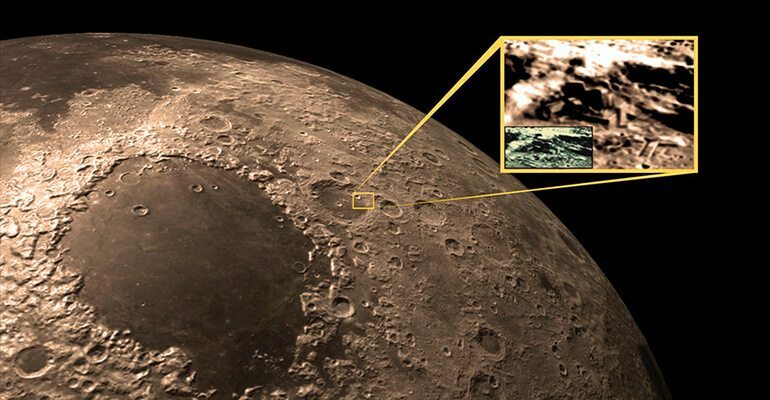 There is a NASA video of a command module flying over the Moons surface and below to the left of the video what looks like a pipe sticking up from the Moons surface is shown a puff of dark smoke coming out of that pipe, this clearly evidence of something going on within the Moon. ” Smoking gun – or smoke and mirrors” perhaps smoking pot is closer to the truth. that’s not the moon it’s the desert just south of cairo . “Sign a pact”? People, listen, extraterrestrial beings need not “sign a pact”–quit thinking in earthterms! Oh, brother. By accidentally finding this article I will now probably be inundated by strange emails.